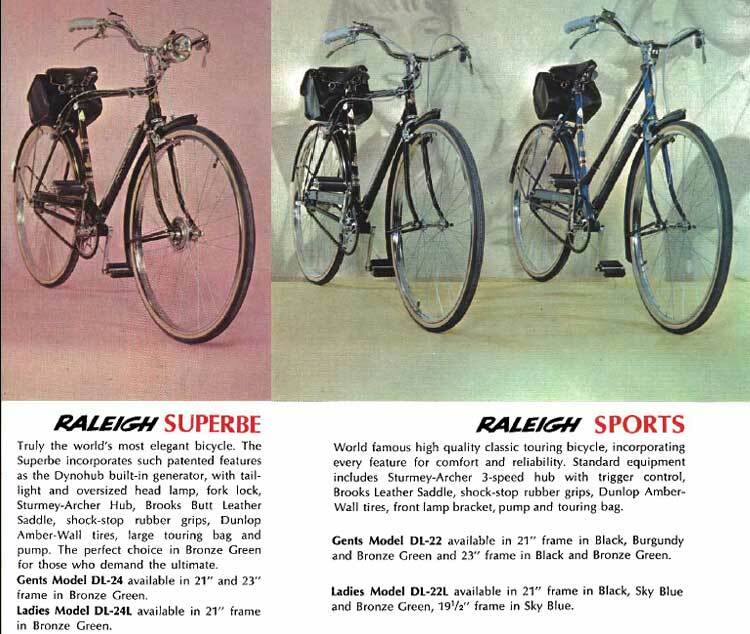 The "Superbe" was a deluxe veariant of the Raleigh Sports. 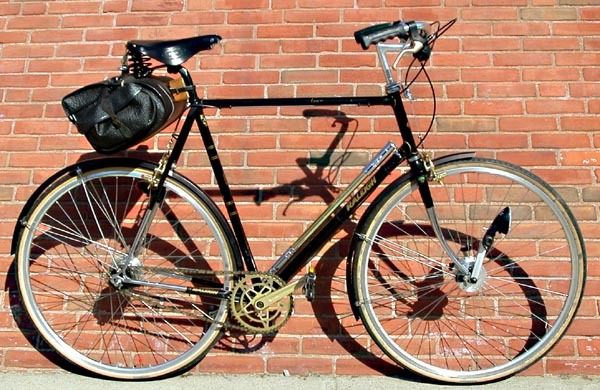 The Superbe usually came with a DynoHub lighting system, key locking fork, luggage carrier and upgraded saddle (Brooks B66 instead of the B72 used on the Sports. 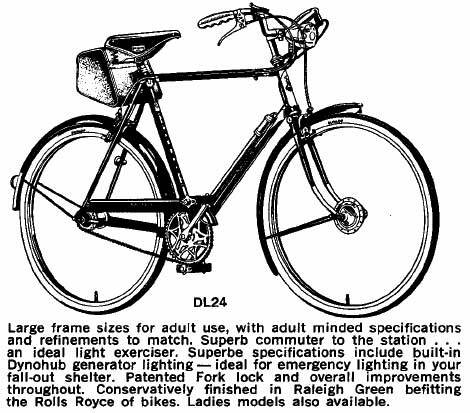 The "Superbe" model name was also used in the early '80s (Huffy period) for a rather nice Japanese-built "road" bike. 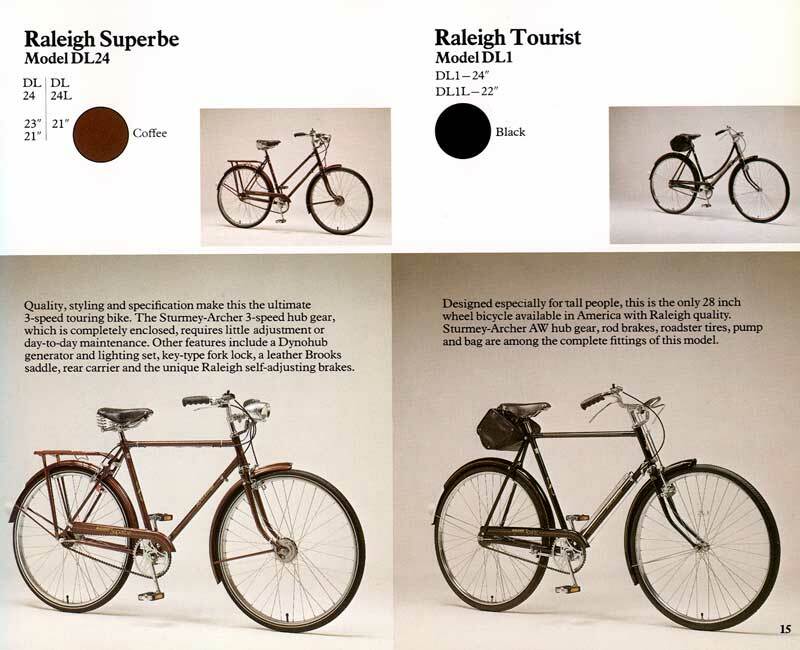 Sheldon Brown's 1976 Competition "Superbe"
My Raleigh Competition "Superbe" is intended to be an interpretation of the classic Raleigh Sports/Superbe 3-speed, only with higher-quality materials and with improved modern technology. The frame is a classic Raleigh Competition, originally a 10-speed racing machine. 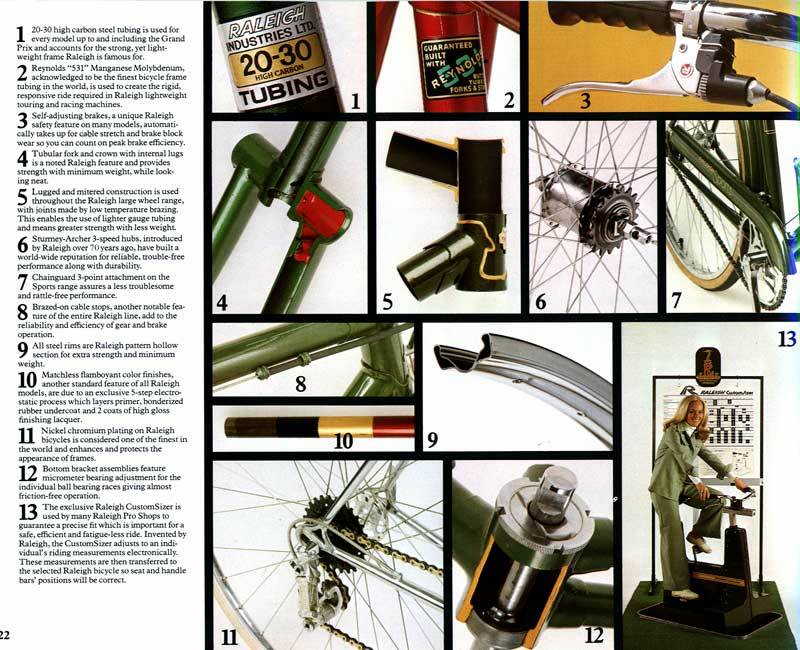 It appears to be a 1976 model, all Reynolds 531 butted tubing, with Hurét dropouts. I have equipped it with a Shimano Nexus 7-speed internal-gear hub, and a Shimano Nexus generator front hub. Assorted gold plated parts accent the gold trim on th black frame. Rims are lightweight Mavic clinchers, with Panasonic/Rivendell Roll-y Pol-y tires.